25 Jan 2019 - Source: Myanmar Times - Botahtaung Terminal is a nice place to spend some time on a warm sunny day. You could put together a picnic and enjoy the Yangon river until sunset, that is, unless you have somewhere you need to be. That's really why people crowd there – to take the Yangon water bus. Every so often, a slick yellow vessel shows up to carry away all the paying passengers to their destinations through all the stops from Botahtaung to Twante, from 9am until 3pm. 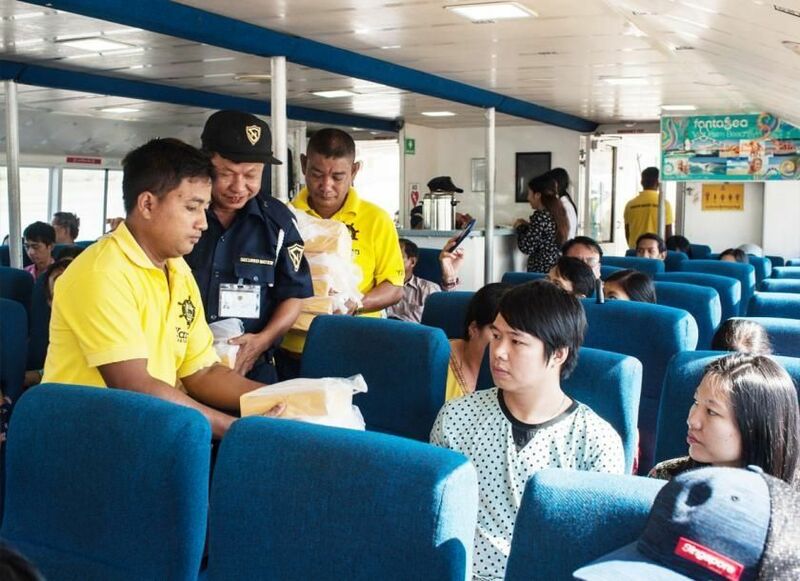 The water bus began operating in October of 2018 to help reduce the gridlock traffic of Yangon. Whether it has helped the traffic is another matter, but at least for this group making the weekend trip to Twante, well known for its cottage pottery industry, the system is working smoothly. "Our family is here to make a short vacation. As people known, Yangon people are very stressed and always looking to release the stress and this is how we do it," Daw Moe Sapal who lives in Alone township said. At 8:30 am, security opens the gate and all the people move onboard merrily, like they are going to ride a roller coaster. Downstairs is the air-con room which includes over 100 chairs and the small of a tea shop. The windows give an interesting view of life on the low sea. Life Jackets are placed beside the chairs and posters on the wall show how to wear them. There are clean toilets at the back for public use. Children excitedly run about the boat, it is their first experience on the water bus. It pushes off into the Yangon river at 9am sharp and takes off. There's plenty of interesting things to see along the riverbank, many probably never before seen by the riders. Hoards of people are taking selfies, which annoys some riders, but such are the foibles of taking public transit. After 30 minutes, the water bus turns into Twante Canal, which is the longest man made canal in Myanmar. People crowd the front of the boat to get a better view. Small boats are running along the river and fishermen are casting the nets in to the canal. There are the random small pagodas and old factories appearing along the journey. At 10 am, the staff gives out lunch boxes, coffee mix and water bottles. Fried meatballs, fried roselle leaf and rice are contained in the box. After an hour and a half, the ship docks at Tontae Jetty. The plan is to visit three places in Twantae Township - the pottery village (Aoe Pho village) , the loom village (Shan Gyi Su village) and Shwe San Taw Pagoda. At Tontae Jetty, three mini buses are waiting to transport people but they can't accept all 180 passengers, so they are broken up into teams. Firstly, the buses enter Aoe Pho village (The pot village), which is seven minutes from the jetty. There are only six crockery kilns left in that village, which produces their pottery in the traditional method. It's half a show, half a real business. Inside, the workers are sitting on the ground and making the handmade pots. Two women are selling the pots to the passengers and one of the workers explains the process of pot making. It takes 15 minutes to Aoe Pho and keeps rolling to Shan Gyi Su village for the famous looms. Products of the looms are on display by households hoping to sell a few items. Six people are weaving the looms and the other products are shown in the house. All the young people in that village have gone to the big cities as migrants. The passengers observe the way they are weaving the looms and buy the cotton clothes. After observing for 20 minutes in Shan Gyi Su, the team led to Shwe San Daw Pagoda, the major pilgrimage site in Twante Township. It is one of the popular tourist destinations and it is said to contain a couple of the Buddha' hairs and its name means Golden Hair Relic. The passengers have 30 minutes there and then have lunch. The pagoda is very quiet and cold in the shadow of the big trees. At 1 pm, all the people come down from the pagoda and go to the Twante Jetty to go back. There's a fresh fruit market to greet all the visitors as they leave. 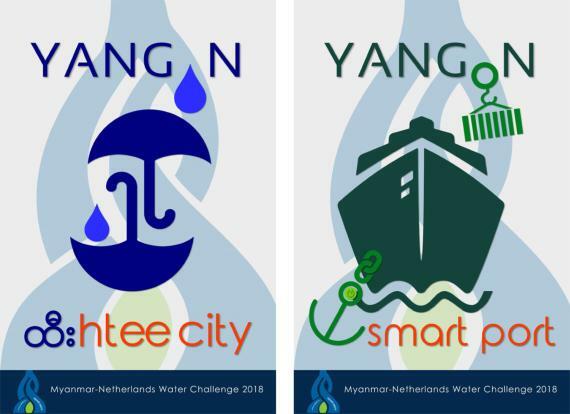 The water bus rotates and heads to Yangon at 1:30 pm. Some of the people doze all the way back. The water bus reaches the pagoda jetty again at 3 pm. Everyone seems very happy with their day as they elate – a small holiday for people living in the concrete jungle. "I want to say that this is the only trip I have planned to observe nature," U Maung Maung Myint said as he departed.